The Panel consists of seven leading experts, who brought different perspectives to the group - from transportation safety to manufacturing, quality assurance, engineering, Japanese business, and government regulation. The Panel is led by former Secretary of Transportation and White House Chief of Staff Samuel Skinner, who was appointed on Dec. 18, 2014, by Takata Corporation. 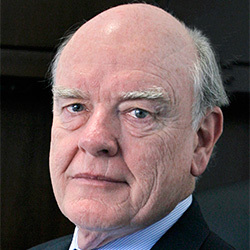 Samuel K. Skinner is the Chairman of the Independent Takata Quality Assurance Panel. An attorney and former U.S. attorney, Skinner has had a career in both the public and private sectors. Skinner is the former White House chief of staff and secretary of the U.S. Department of Transportation. As secretary, Skinner served as the nation’s senior regulatory official for rail, aviation, maritime, pipeline and highway safety, and was credited with the development of the president’s national transportation policy and the development and passage of landmark aviation and surface transportation legislation. Skinner acted as the president’s point person in numerous crisis situations, including the 1988 terrorist bombing of Pan Am flight 103 over Lockerbie, Scotland, the Eastern Airlines strike, the Exxon Valdez oil spill, the northern California earthquake, Hurricane Hugo and the 1991 national rail strike. 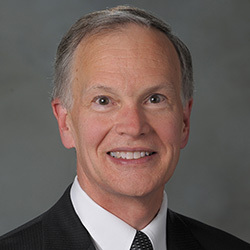 Skinner is the retired chairman, president and chief executive officer of USF Corporation, one of the nation’s leading transportation and logistics companies. Marion C. Blakey is currently president and CEO of Rolls-Royce North America. 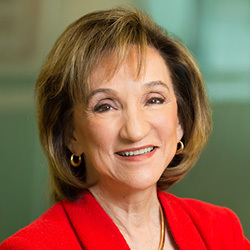 She brings more than two decades of experience in the transportation industry and served as administrator of the Federal Aviation Administration from 2002 to 2007 and chairman of the National Transportation Safety Board from 2001 to 2002. Blakey also served as administrator of National Highway Traffic Safety Administration (NHTSA) in a role focused on reducing deaths, injuries and economic losses resulting from motor vehicle crashes. Prior to her service at NHTSA, Blakey held key positions at the U.S. Department of Commerce, the U.S. Department of Education, the National Endowment for the Humanities, the White House and the U.S. Department of Transportation. Blakey is also the former president and chief executive officer of the Aerospace Industries Association, an American aerospace and defense industry trade association. Nelda J. Connors iis the founder, chairwoman and chief executive officer of Pine Grove Holdings, LLC, which invests in and operates small, mid-cap industrial companies. She served as president and CEO of Atkore International Inc. from December 2010 until June 2011. Atkore, formerly the electrical and metal products division of Tyco International, became a privately-held company in December 2010. Connors served as president of this Tyco division from 2008 through 2010. 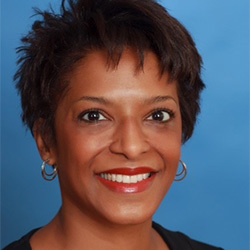 Prior to joining Tyco, she served as vice president at Eaton Corporation from 2002 to 2008, where she held several positions in operations, continuous improvement, and general management. Prior to joining Eaton, Connors was employed in a number of executive and management capacities in the automotive industry. Her work over 25 years has allowed her to live and work in the U.S., Europe, and Asia. Connors is a Class B director of the Federal Reserve Bank of Chicago, a director of Boston Scientific Corporation, Blount International, Inc., Vesuvius plc and Echo Global Logistics, Inc. Connors holds bachelor’s and master’s degrees in mechanical engineering from the University of Dayton and has a post-graduate non-degree from the University of Tokyo, Japan, in International Finance and Economics. John C. Landgraf served as executive vice president at Abbott and ran the largest of Abbott’s four core business segments. Landgraf has experience leading manufacturing and quality assurance at the highly regulated health care corporation. Abbott is a global company, and more than 70 percent of its sales and 70 percent of its employees are located outside the U.S. In his 37 years at Abbott, Landgraf has had significant roles in all four key segments of Abbott’s business: pharmaceutical, diagnostics, devices and nutritional products. In his career, Landgraf has dealt with complex compliance issues with various regulatory agencies around the world. His extensive global experience in operations makes him a highly complementary addition to the Panel. Landgraf earned a bachelor’s degree in biology and a master’s degree in microbiology from Northern Illinois University. He also holds a master’s in business from Lake Forest Graduate School of Management. 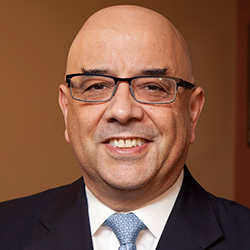 Dr. Julio M. Ottino is dean of the Robert R. McCormick School of Engineering and Applied Science at Northwestern University, where he holds the titles of distinguished Robert R. McCormick Institute professor and Walter P. Murphy professor of chemical and biological engineering. The Northwestern University Transportation Center, a multidisciplinary center in the Robert R. McCormick School of Engineering and Applied Science, was the first university transportation center in the U.S. and has since been recognized as a leading interdisciplinary education and research institution. Dr. Ottino earned his Ph.D. in chemical engineering at the University of Minnesota. He then held a faculty position at the University of Massachusetts-Amherst and held chair and senior appointments at The California Institute of Technology, Stanford University, and the University of Minnesota before joining Northwestern in 1991 and rising to chairman of the Department of Chemical and Biological Engineering in 1992. Dr. Jeffrey W. Runge, MD, FACEP, served as administrator of National Highway Traffic Safety Administration (NHTSA) from 2001 to 2005 and assistant secretary for health affairs and Chief Medical Officer for the U.S. Department of Homeland Security from 2005 to 2008. His areas of expertise include road transportation safety, emergency medical services and injury prevention and control, medical preparedness and emergency care, and biodefense strategy and countermeasures. As NHTSA administrator, Dr. Runge instituted programs that led to the first absolute declines in U.S. motor vehicle deaths in nearly a decade and the lowest highway fatality rate in history. Dr. Runge’s emphasis on safety belt use through the innovative “Click It or Ticket” program led to national belt use of more than 80 percent, and his focus on rollover crashes and crash avoidance technology led the agency to promote an industry-wide redesign of SUVs to improve their safety as family vehicles. He fostered new regulations leading to universal side-impact head protection and a new regulatory framework for fuel economy standards. 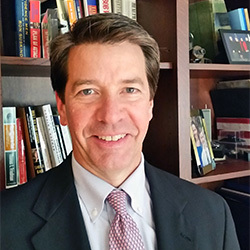 He is currently president of Biologue, Inc., a consulting firm focused on biodefense, medical preparedness, healthcare, and transportation safety. He currently serves as director of the National Collaborative for Bio-Preparedness and as adjunct professor of emergency medicine at the University of North Carolina at Chapel Hill. Dr. Runge also serves as senior advisor to The Chertoff Group in Washington, D.C.
John W. Snow is the Chairman of Cerberus Capital Management LP. He served as the 73rd secretary of the treasury under President George W. Bush from 2003 to 2006. Snow served as assistant general counsel for the Department of Transportation from 1972 to 1973; deputy assistant secretary for policy, plans and international affairs from 1973 to 1974; and assistant secretary for governmental affairs in the Department of Transportation from 1974 to 1975. In 1975, he was appointed undersecretary in the Department of Transportation and was named administrator of the National Highway Traffic Safety Administration (NHTSA) in 1976. 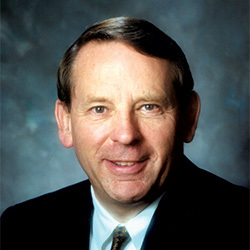 In 1977, Snow entered the railroad industry, where he held leadership roles of increasing responsibility before becoming CEO of CSX Corp., an international transportation company offering a variety of rail, container-shipping, intermodal, trucking and contract logistics services, in 1989, a position he held until his appointment as secretary of the treasury in 2003. © 2016 Independent Takata Corporation Quality Assurance Panel Report. All rights reserved.